Here’s another listen to one of the poems in the forthcoming, Woodland, a project of mine with a score by Aaron Otheim. It’s been interesting to try to figure out how to make book trailers/small poetry films quickly as it’s something I would love to be able to do for all our books moving forward. It seems like an obvious process as we have so much audio of the poets reading the work. This is done in iMovie and we did some funny workaround to get it into square for Instagram that involved using Keynote. We are so pleased to share with you our 2018 Emerging Visions Film by Sarah Lintakoon. Her film, “Olive,” is a response to the play Vicinity/Memoryall by Christine Deavel and J.W. Marshall. She had the opportunity to meet the authors to talk about themes and ideas, and she got to see first hand the types of edits that happen heading into production and that process. Other than that, our process is pretty hands off except checking in to make sure she had what she needed. We are excited to see a film with issues that this her generation is at the forefront of— transexual acceptance (and alas, the brutality and risk in so much of our society)— and we were interested in the ways she wove her own cultural heritage into the story. We are so grateful to Sarah for her time on this project and wish her the best of luck in whatever she endeavors as she finishes her degree! 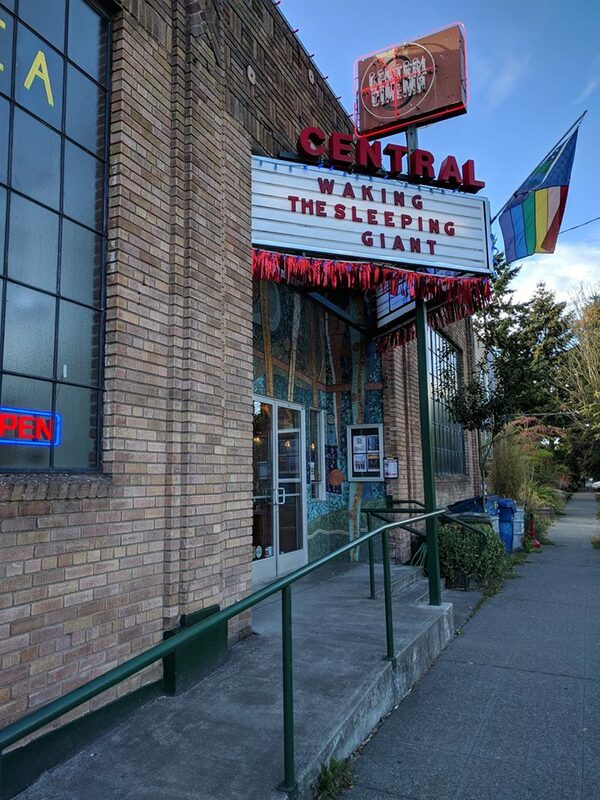 We were super thrilled to support the Seattle premiere of the new documentary on progressive movements during the 2016 election and to host the director, Jacob Smith, while he was in town. There are days in running our gay press, that I think publishing poetry is political enough and you cannot go to protest, call Senators, writer letters… and sometimes I do talk myself out of some kind of more direct action. But then, let us be real, we are in a state of crisis with the environment and with the rise of neo-fascists and so if I have to pour a third or fourth cup of coffee, we must still find time to take the streets and turn our rage into actions. This is tough. And I would be remiss to not say that our business of poetry publishing hasn’t suffered, it has. But, well, we will just keep muddling along fighting the inhumanity of ICE, the mendacity of Trump and the corruption in the system because if we don’t prevail, there will be no such thing as “gay press”. Waking the Sleeping Giant: The Making of a Political Revolutionis the story of the attempt to build a 21st century progressive movement in the United States. Five remarkable individuals wrestle with persistent racial injustice, growing economic inequality, and the corrupting influence of money in politics that shaped this extraordinary election cycle. From the presidential campaign trail with Senator Bernie Sanders to a local political race in the failing economy of rural West Virginia, from a mass sit-in on the U.S. Capitol steps to racially charged police commission hearings in Los Angeles, Waking the Sleeping Giant makes sense of this singular moment in American politics, probing the widespread discontent of the past two years, Donald Trump’s dramatic electoral victory, and the challenges ahead for those hoping to build a reenergized progressive movement. ***You can now steam this film on many popular services, so look for it on whatever you stream. We are excited to announce our 2018 Emerging Vision Filmmaker, Sarah Lintakoon. Sarah is a sophomore at the DigiPen Institute of Technology in Redmond, Washington. 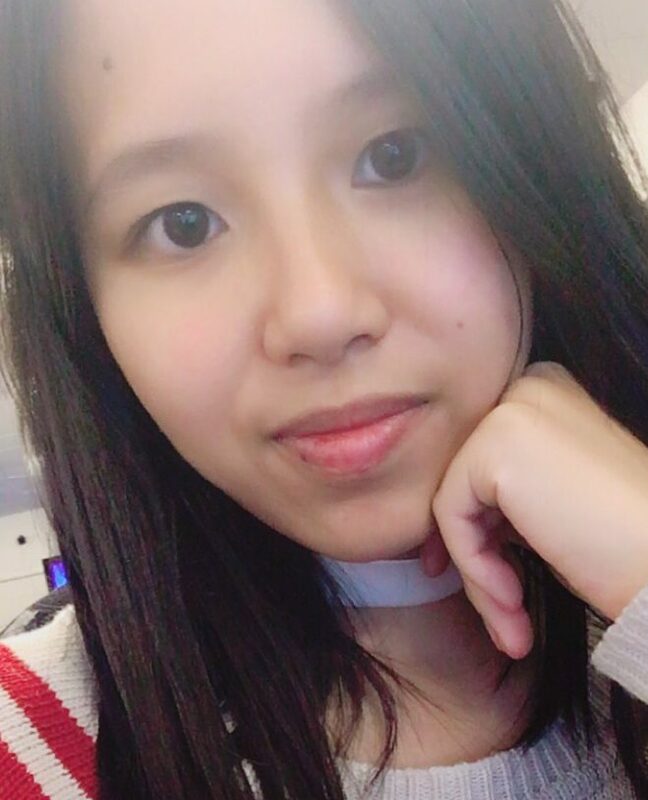 She’s studying digital animation and is quite a talented artist, which you can check out on her Instagram account, @strato_cat Sarah will be responding to the questions posed in our forthcoming (and first) play, Vicinity/Memoryall, by Christine Deavel and J.W. Marshall. What is an appropriate memorial? How are public memorials to both large scale and personal violence different or similar? How would you want to be memorialized? We’ll be sharing Sarah’s film later this fall and you’ll have a chance to talk to her about the film at the premiere of the play. Sarah is just our second award winner. Learn more about the award here, and see our first award-winner, Rebecca Starkey‘s, film here. This is a short segment from a longer film we will be releasing at the Mary’s Dust book launch on Saturday, October 21. EVENT INFORMATION. We could not be more honored to share our first “Emerging Visions Film” by Rebecca Starkey! She took on an interpretation of our forthcoming “Alchemy for Cells & Other Beasts” by Maya Zeller and Carrie DeBacker. This award, given to a Washington State female or female-identified filmmaker or digital artist, is meant to encourage the growth and development of women artists and technicians traditionally underrepresented in the film and digital industry. We will be posting our 2018 submission guidelines for next year’s award next week. 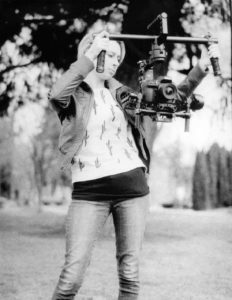 We are very pleased to announce the receipient of our first Emerging Visions Filmmaker Award is Rebecca Starkey. Rebecca Starkey is an aspiring cinematographer and will be graduating in June from the film program at Central Washington University. Rebecca was recently awarded first place in the student narrative film category in the Broadcast Education Association’s festival of media arts for her short film Todd’s Vlog. When she is not behind the camera Rebecca can usually be found rock climbing or painting. Rebecca will be working on a short film with Spokane poet, Maya Jewell Zeller and Seattle artist, Carrie DeBacker for their forthcoming (September 2017) collaboration, Alchemy for Cells and Other Beasts. Our Emerging Visions Filmmaking Award is meant to encourage the growth and development of women artists and technicians traditionally underrepresented in the film and digital industry. This award comes with a $500 stipend. With this award, we seek to foster connections between these emerging creators and the artist and writers working on our books in ways that build confidence, skills and provide a realistic glimpse in how working artists create and collaborate (and have day jobs). We are thrilled to welcome Rebecca to our team of poets, artists and musicians and look forward to sharing her work this fall. We would also like to thank the many women who applied and sent us clips and ideas to consider. We’ll be posting information a bit earlier (as in later this fall) for our 2018 Emerging Visions Award… which will focus next year on translation. Keep up-to-date on that by following us on Facebook.